Navigate to the project library. 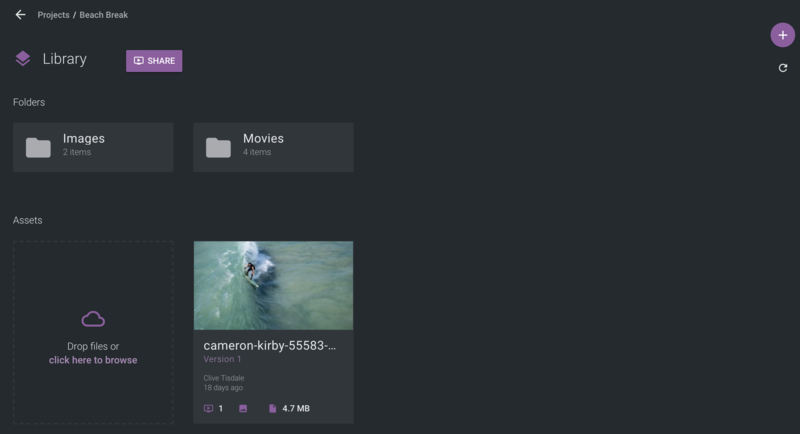 Folders can be used to store a collection of media. To create a folder, click on the + icon on the right-hand side and then click the folder icon. Enter a name for the folder. 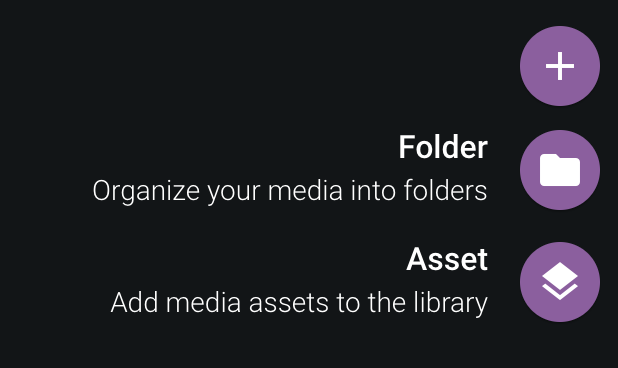 Folders will be displayed above the media assets. 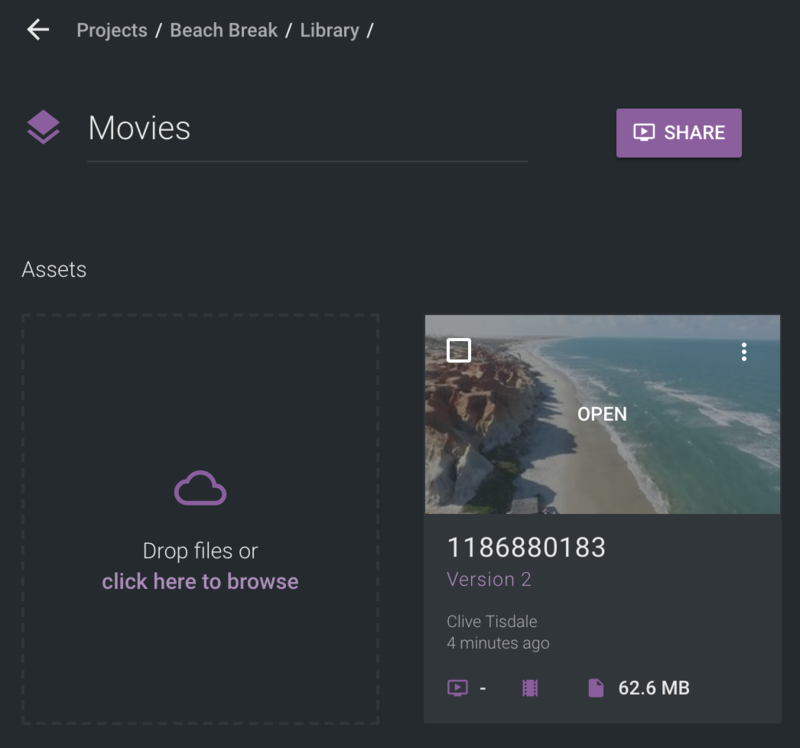 Assets can be dragged and dropped into the folders. 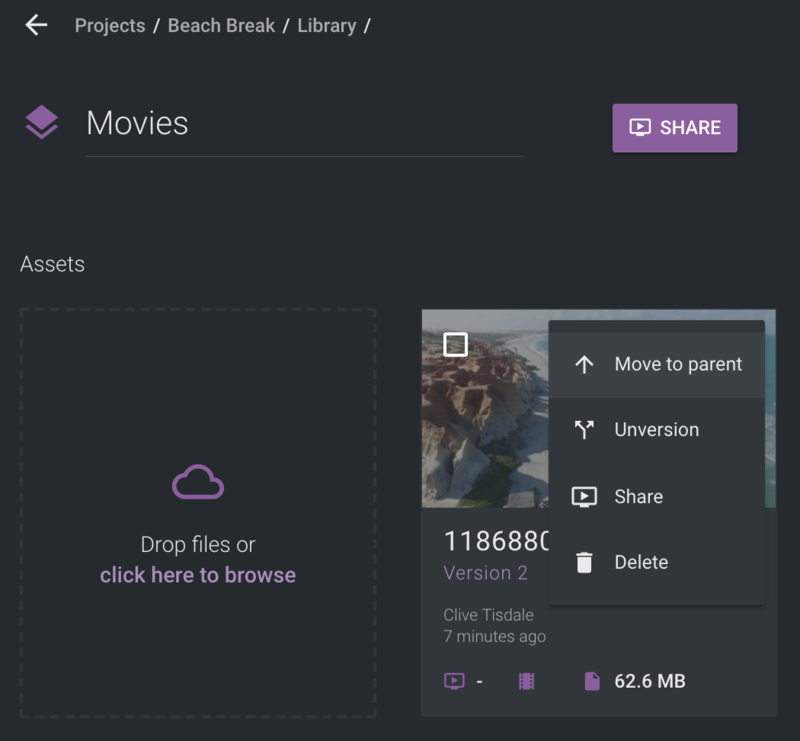 You can share media to a review by selecting Share on each asset individually. If you are sharing multiple media elements, you can select all assets you intend to review and then click Share next to the page title. Versioning allows users to stack an asset on top of a previous asset to version up. This helps reduce clutter and helps identify the latest version, minimizing any mistakes in selecting the latest version. The version number is displayed under the name of the asset, here Version 1 is available. Uploading a new version of the asset with the same file name will version up the asset. When hovering the mouse cursor on the thumbnail, an options menu is displayed in the top right. Clicking the three dots will display a menu, giving the ability to move, unversion, share and delete the media. Unversioning means the latest version of the asset will be broken out to its own media asset. If the asset is in a folder, you can also move the asset up one level out from the folder from the same options menu. This is the opposite to moving an asset into a folder. 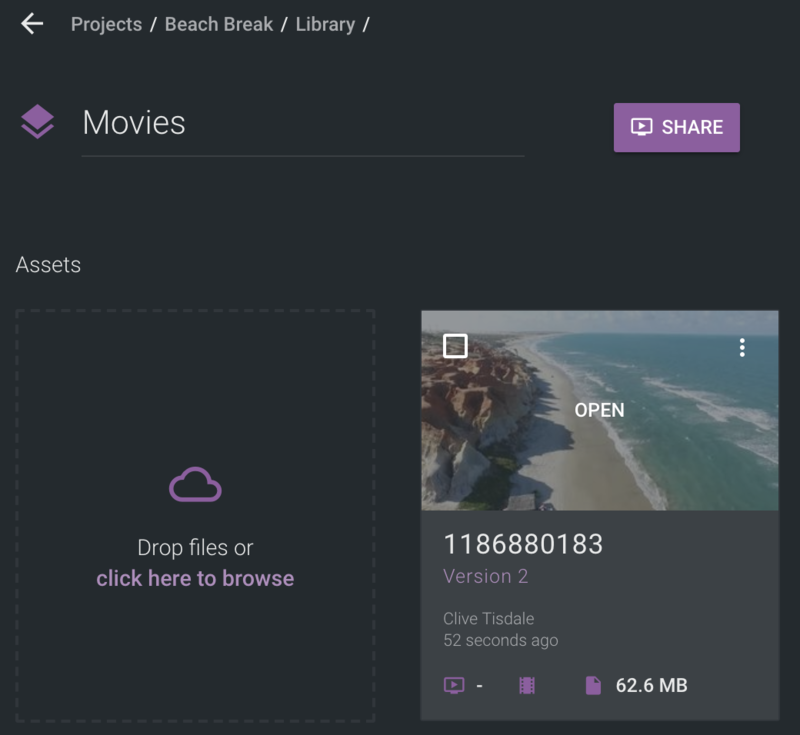 Tip: You can select multiple assets in the library and move all at once to a folder.